Access to a cloud object is controlled by the setting of its Permissions option. 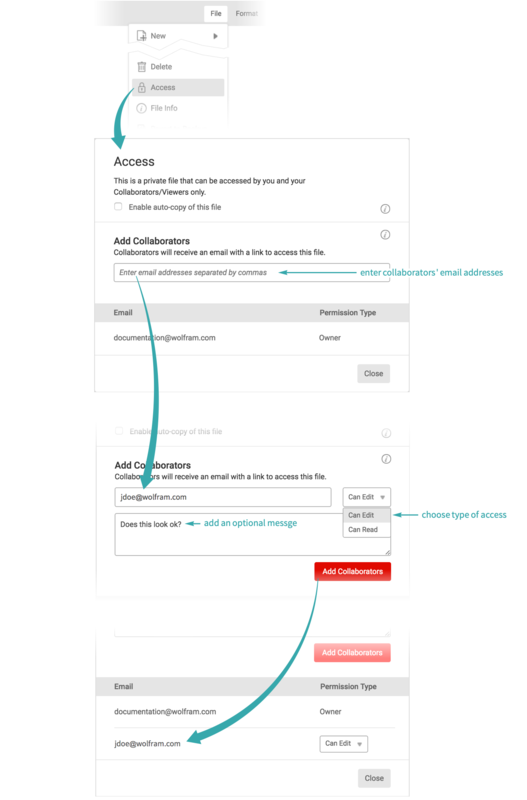 Set permissions so that only you have access, or share a cloud object with the world. The Wolfram ID of the currently logged-in user is given by $WolframID, and the Wolfram UUID is given by $WolframUUID. Specified users must have Wolfram IDs. 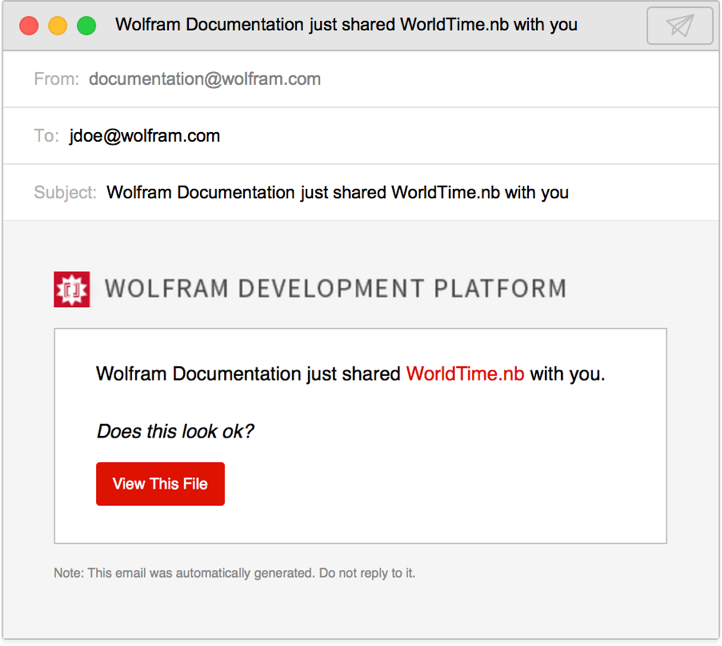 Giving email addresses that do not have Wolfram IDs will result in an error. Set the permissions of an existing cloud object with SetPermissions. Categories of permissions include "Read", "Write", "Execute", "Interact", "Save", "Evaluate", "CellEdit", "CellCreate" and "CellDelete". The specific permissions granted by Permissions->"Public" depend on the type of cloud object. For executable objects like APIFunction and FormFunction, "Public" gives "Execute" permission. For notebooks and CDF objects, it gives "Read" and "Interact" permission. For other objects, "Public" allows only reading. 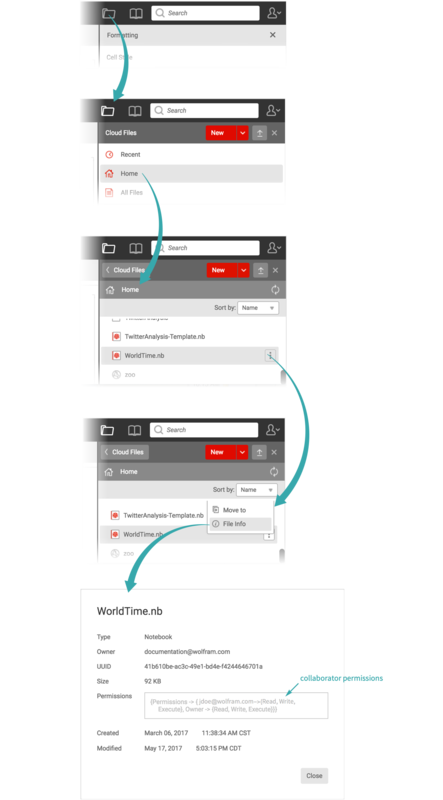 Restrict access to a cloud object to people who have logged in to the Wolfram Cloud using Permissions->"Authenticated". Require a password using PermissionsKey.